Status: Completed with limited festival release. 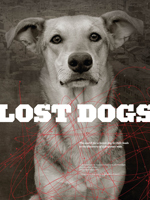 Initially titled “Lost Dogs”, this film was inspired by a stray dog in Chile who performed an heroic act that was caught on surveillance camera and grabbed the world’s attention. Status: Promo only, in need of funding. A gripping adventure exposing the global impact of fires that consume 2/3 of the African continent every year. Captain Paul Watson’s heroic, life-long quest to end the world’s largest mass slaughter of any mammalian wildlife species, Canada’s Harp Seal. A promotional video for Animal Balance, a non-profit endeavoring to protect native species of the Galapagos from cats and dogs by providing humane spay and neuter options. A journey to Brazil for the 8th International Permaculture Convergence reveals an ecological design strategy that is helping to free Latin American farmers from the corporate noose around their necks; the same noose threatening the world with climate chaos. Status: Completed with festival release. The story of an extraordinary wolf and her fight for survival in one of America’s last islands of wilderness. A provocative exposé of the corrupt and inhumane trapping industry that kills between four and five million animals annually, perpetuated indiscriminately by the “Wildlife Services” arm of the US government. A safari that takes us on an exploration of our own dark souls, mirrored in the intense interaction of Africa’s wildlife.